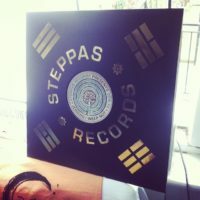 Following an extensive year touring, Alpha Steppa returns with his second studio album, 3rd Kingdom on Steppas Records. Due for release on 7/7/17 (coinciding with the 7th year of Steppas Records), the album is a product of his travels around the world, and exists as a sort of travel diary that chronicles the people he’s met and collaborated with and the experiences he’s picked up on the way. 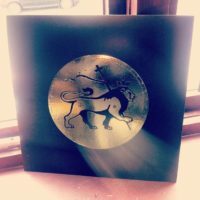 With a total of twelve tracks and an extensive list of featuring artists, 3rd Kingdom is an eclectic mix of traditional roots style reggae, UK bass and dubstep, future steppas, and world music. 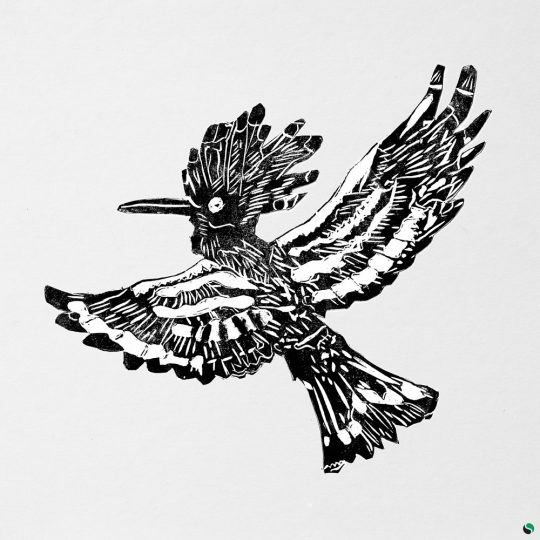 The majority of the collaborating artists Alpha Steppa met through travelling and come from all around the world – Russia, Italy/Senegal, Nigeria, Jamaica, Suriname, Brazil, to name just a few. It’s been a genuine attempt, through these collaborations, to pull a global community together – to give a feeling that it’s actually local despite being spread all over the world. “when you get to the end of the album, you’re right back at the beginning, in a way…”. 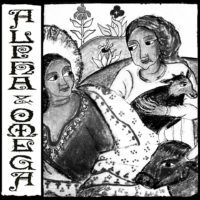 Diversity, multi-culturalism, oneness – these are things that Alpha Steppa is well acquainted with, if originally on a second-hand basis. The son and nephew of pioneering British roots dub duo Alpha & Omega, Alpha Steppa’s been surrounded by soundsystem and dubplate culture from a young age – his mother would attend shows by the likes of Channel One and Jah Shakah while he was still in the womb, and as a child his father would take him into the studio for his first forays into the world of analogue hardware and dubbed out sound excursions. 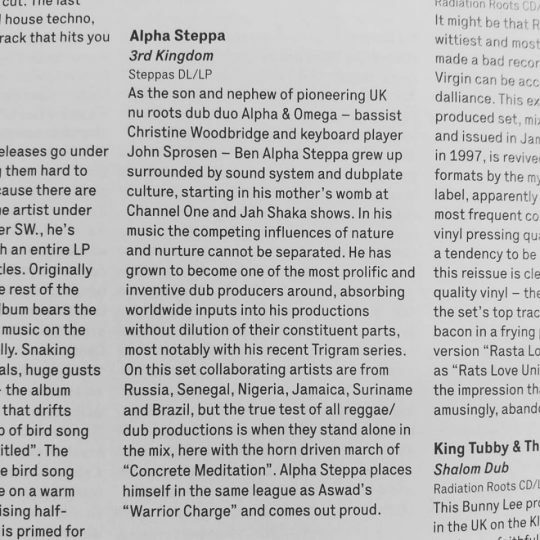 For Alpha Steppa it is perhaps a responsibility he feels to promote a truly intergenerational, inclusive scene that unites everyone under the physical and emotional power of sound system culture.